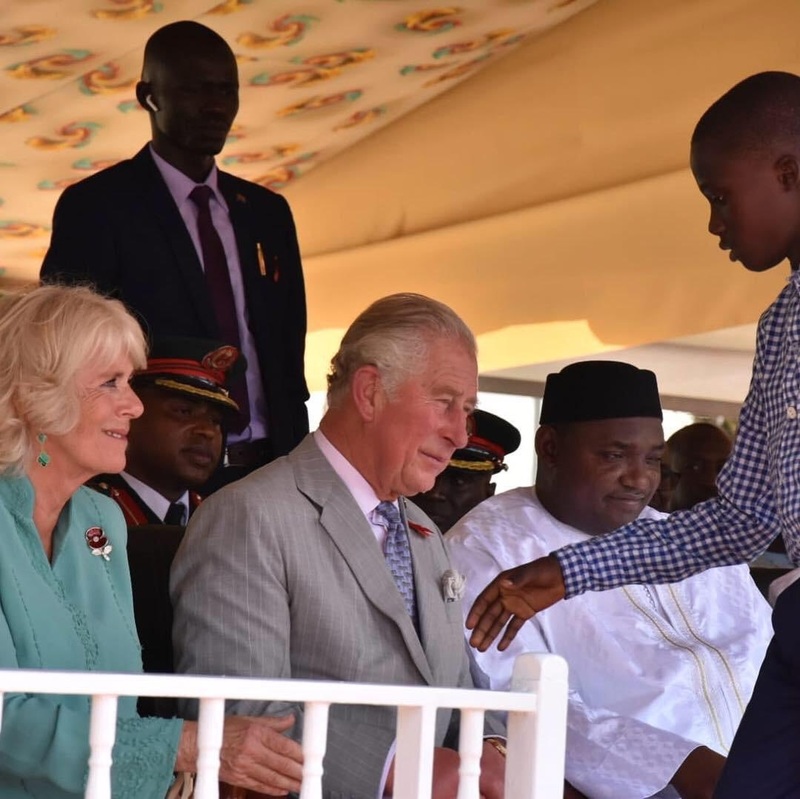 The Prince of Wales and The Duchess of Cornwall are on a tour of West Africa. There are multiple necklace styles available in the Snowflake High Jewelry collection (which is, shockingly enough, inspired by flakes of snow). Camilla's is the Pendant with Snowflake Chain. The design can have either a small or large pendant; she has the large model. 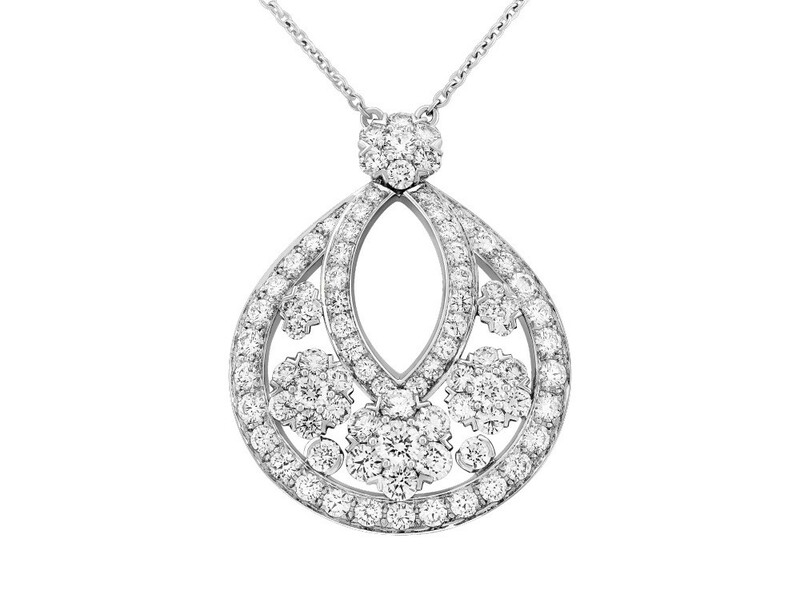 The large pendant includes 85 round diamonds totaling approximately 6.05 carats, with platinum. The retail price is currently listed at $71,000. 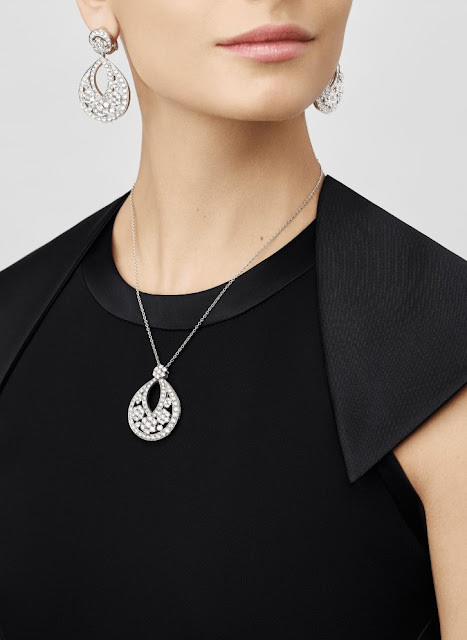 As with all of The Duchess' Van Cleef & Arpels jewels, the provenance is unknown - however, given the sheer quantity she owns, I am left to assume only that either she or The Prince of Wales (or both!) must be big fans of the jeweler. The couple's West African tour has been a good one for sparkly VC&A sightings, in fact. She wore her Diamond Magic Alhambra Earrings to a dinner in The Gambia (covered here at the other blog), and she also wore her Malachite Magic Alhambra Earrings during that stop (seen above). I was surprised but obviously delighted to see those appear at a daytime engagement. Her poppy brooch is new this year and has been worn throughout the trip. 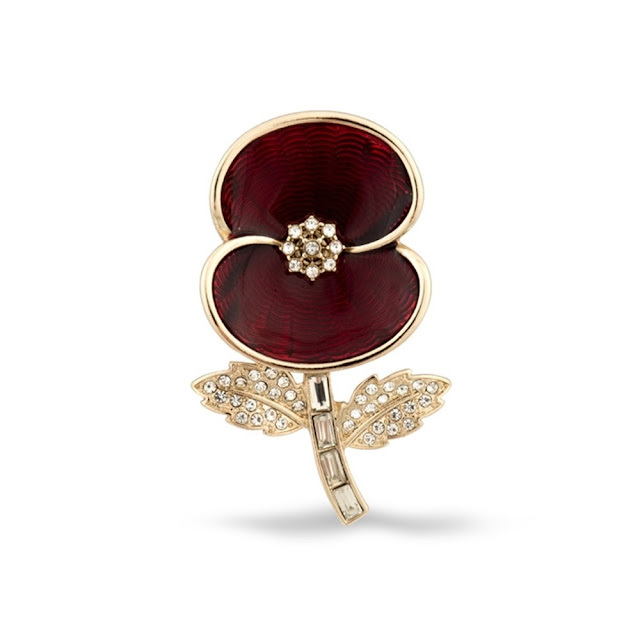 It's the Poppy Collection Women of the First World War Brooch, made of enamel with gold tone plating and crystals; The Duchess of Cambridge has also worn one. Each brooch comes with a certificate commemorating a woman who lost her life as a direct result of the First World War. A beautiful addition - and very fitting to The Duchess' interests - for the centenary of the armistice. You can buy one here.